In honor of the most SPOOK-tacular holiday aka Halloween we want to take a moment to tell you all about the Teal Pumpkin Project. Scroll down to learn about how you and your family can participate in allergy awareness with this new Halloween tradition. P.S: Be sure to keep scrolling some CHIC-Y DEEK-Y teal pumpkin inspiration! WHO: Did you know it was a mom who first started the teal pumpkin project? Talk about a super mom! 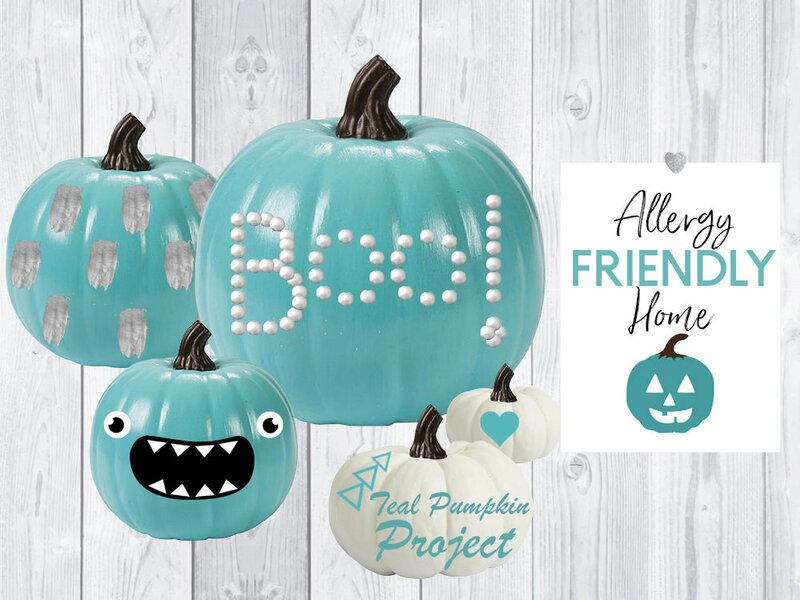 In 2012 Becky Basalone a director of a local food allergy support group came up with the brilliant idea of putting a teal pumpkin out to show trick-or-treaters that her home had allergy-safe treats. The idea took off in Becky’s Tennessee neighborhood and spread from there. In 2014 FARE (Food Allergy and Research Education) collaborated with Becky to trademark this idea and advocate it on a national scale. 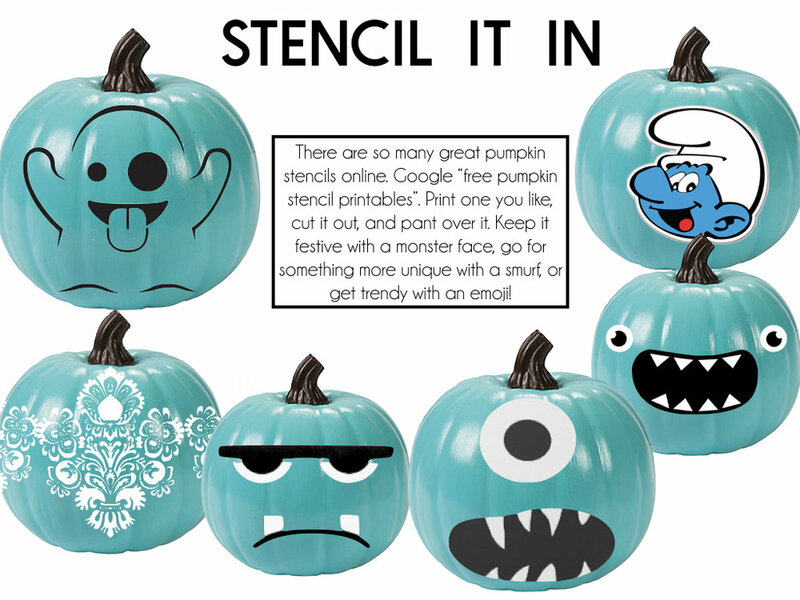 WHAT you need: Some teal paint, a pumpkin, non-food treats, and a little creativity! WHERE: Put your teal pumpkin somewhere visible to anyone walking by - you want to make sure trick-or-treaters and parents can easily spot it! With this small act, you can help ensure every child a fun and safe trick-or-treating experience! You give parents of children with severe food allergies peace of mind and an allergy safe location for their kiddos. You help raise awareness for food allergies. 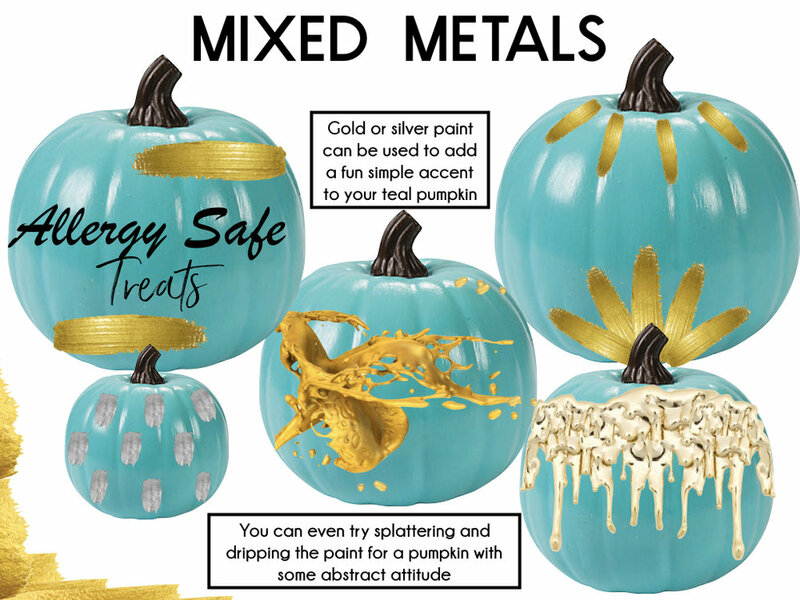 Scroll down for some très chic teal pumpkin inspiration!